Change is not something that Paula Bennett has shied away from. She left a successful career in pharmaceutical sales and stayed home to raise children before going through her own divorce. She then took on the challenge of law school as a “mature” student. From these experiences she developed a profound understanding of the complex blend of emotions her clients have to work through as they prepare to enter a new stage in their life’s journey. Paula represents clients in a wide range of family law matters, including divorce and complex property issues, but has a particular commitment to working with parents to resolve issues that impact the welfare of their children. 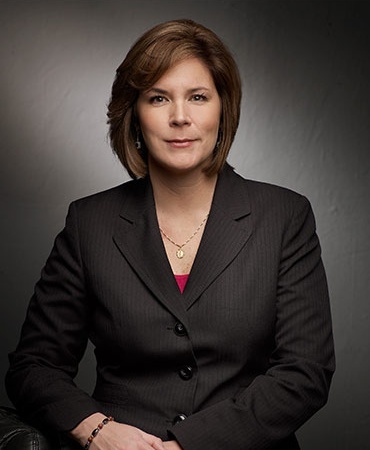 This focus includes parental custody disputes, the termination of parental rights, custody modification, custody relocation and child support matters. 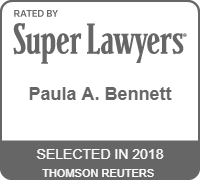 Paula is Board Certified in Family Law by the Texas Board of Legal Specialization, demonstrating her ongoing commitment to excellence in this area of law. Board Certification requires continuing education and involvement in the issues of family law, including marriage, adoption, divorce, custody, support and ownership of property acquired before and during marriage. Because she has been in her clients’ shoes, facing real fear about her and her children’s future, she makes the extra effort to help clients by taking control of the legal aspects of their divorce, leaving them with more energy to devote to their personal needs as they transition to a new phase of life.